1. Twin servo motor driven, efficient mechanical structure. 2. 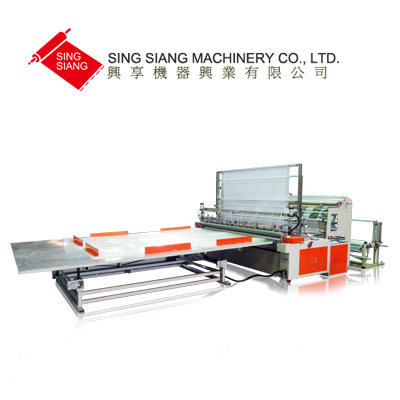 Digital control for production length adjusting, precise and less wastage. 3. High production efficiency to save manpower and time. 4. Automatically stop when the temperature not reaching setting. 5. Automatically stop when running out of film or bag jams. 6. 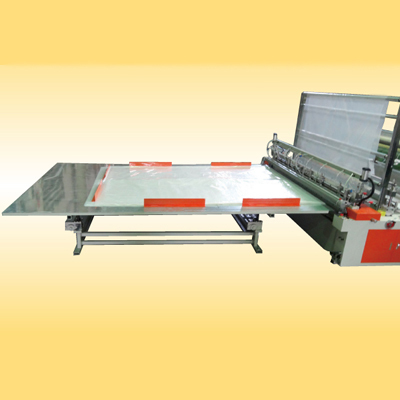 Flying knife device by servo motor control, unnecessary to adjust the cutting blade. 7. 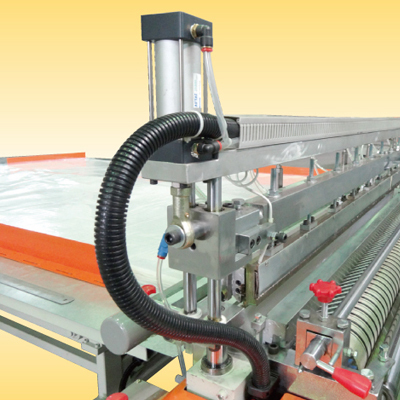 Using up and down heater for front sealing device, especially for heavy duty thickness up to 0.6mm. 8. 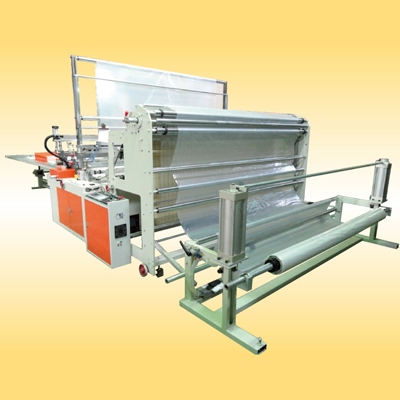 With pneumatic unwind unit to lift up the film roll automatically. 2. Pneumatic auto loading device on un-winding stand.